Custom printed 1" Waterproof circle sticker labels. Printed in full color on a semi-gloss white vinyl base. These are perfect for dressing up you business packaging. Use as logo branding stickers or to add a special message just for you customers. 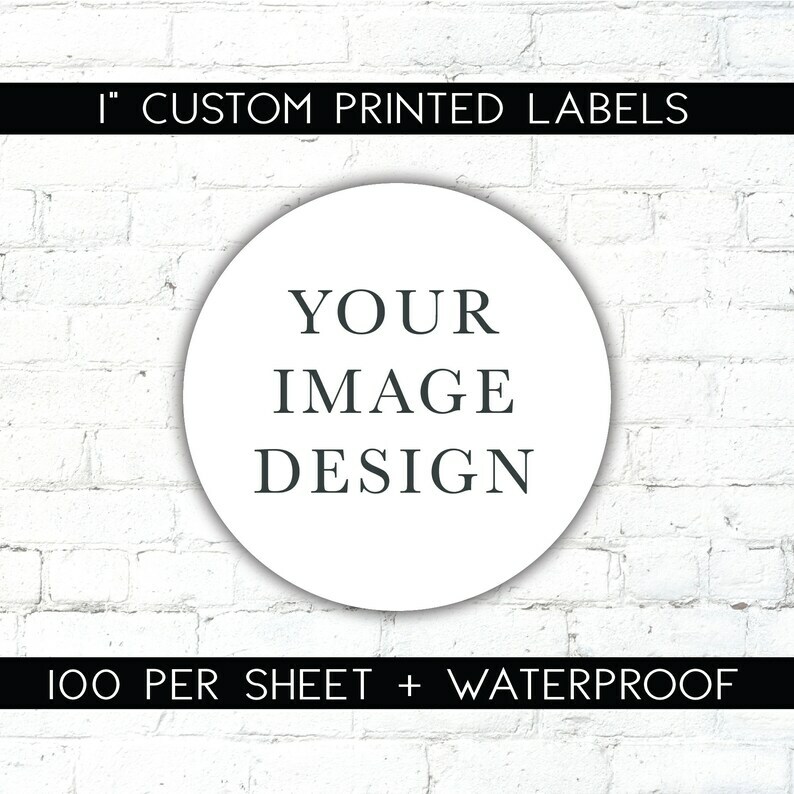 All of my labels are printed on white adhesive vinyl with a large format eco-solvent printer and 'kiss' cut, which makes them durable, vibrant, and easy to use at an incredible price. + Turn around time depends on how quickly you provide me with your design and respond to any correspondence.